• Brutalist buildings (1968 – 1975). The above building periods are not precise, and several periods roll into consecutive periods. However, their English, European and American inspirations also depends on the region in NSW where they are located. For instance, stylistic influence from abroad was more immediate in major cities whereas in country towns, the influence lagged by often as much ten to fifteen years. Also, the above list is not exhaustive and for instance the inter-war period had a number of concurrent styles such as Spanish Mission, Olde English, Neo-Georgian, Stripped Classical etc. Fig. 1 – The Hermitage, Dennistone (NSW) Australia conserved by Heritage 21 is a Georgian farmhouse building built by John Blaxland (son of Gregory Blaxland - Australia’s celebrated explorer) in 1842 – slightly after the Colonial period. Fig. 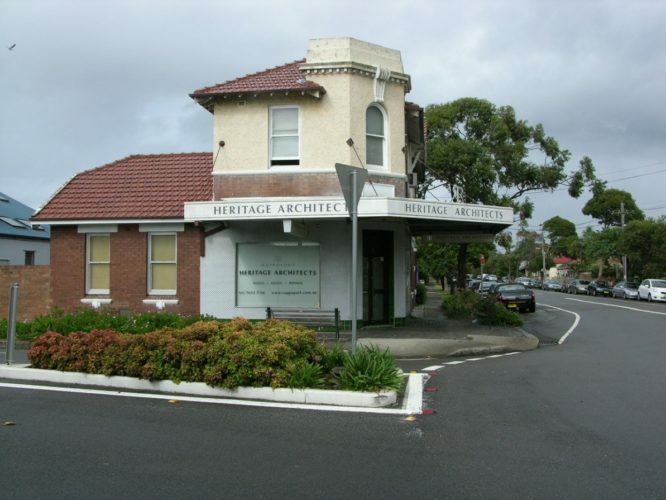 2 – Mid Victorian Mortuary Station building in Chippendale (NSW) Australia. 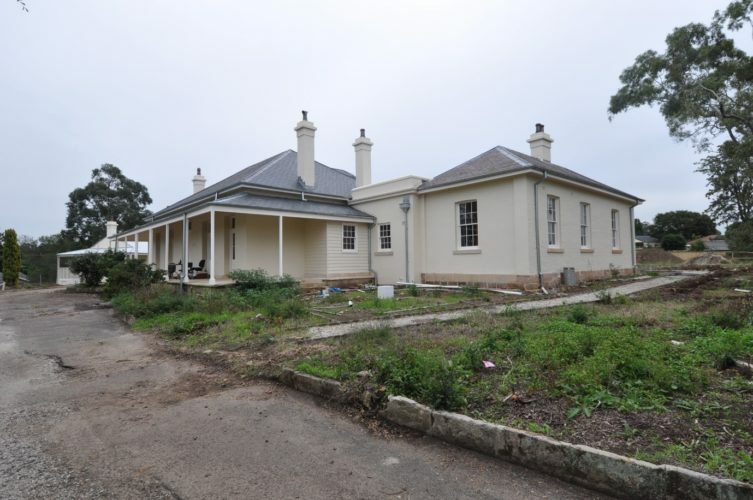 Heritage 21 wrote the Conservation Management Plan for Mortuary Station in the year 2000. The building was designed by Government architect James Barnet in 1869 and was built a few years after that. 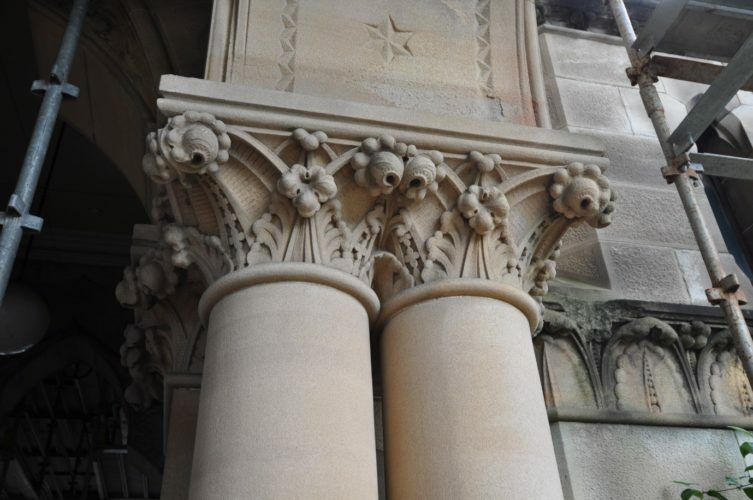 Note the use of Australian flora in the column capitals – the first time such local motifs were used in Classical architecture. Fig. 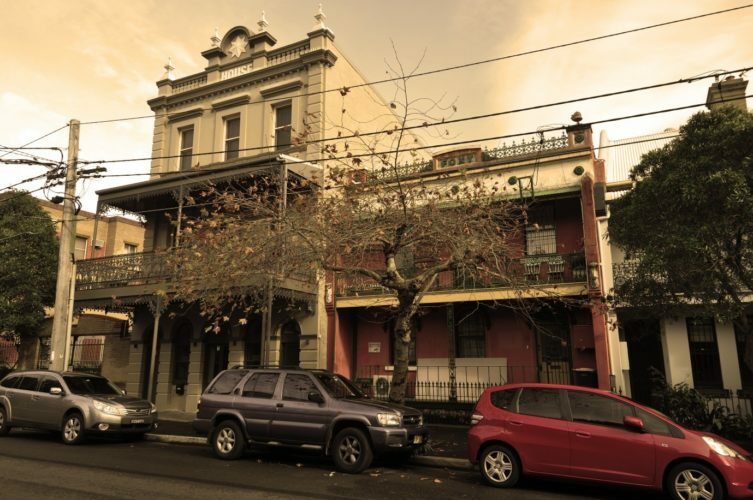 3 – Late Victorian buildings in Redfern (NSW) Australia. Note the highly decorated parapet with minarets, pediment and elaborate balcony detailing typical of the period. Fig. 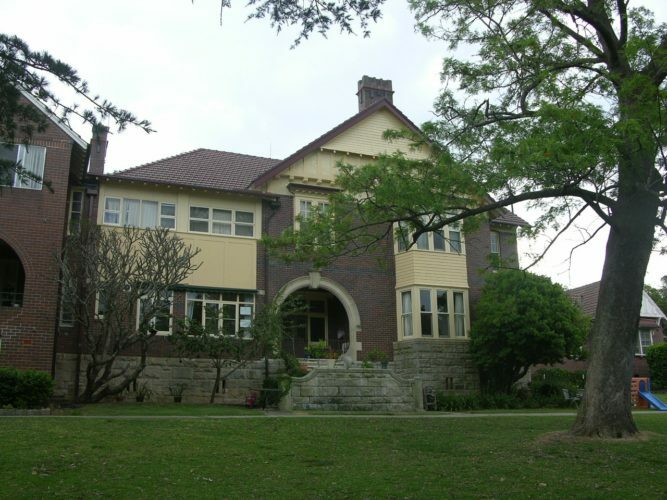 4 – a Federation period building at Knox Grammar School in Wahroonga. Note the half-timbering in the gable emulating the traditional style of architecture. Note also the use of brickwork, stone work and timber to accentuate the craftsmanship with which this period of architecture was highly infatuated. The balcony on the top floor on the left has been filled in later. Fig. 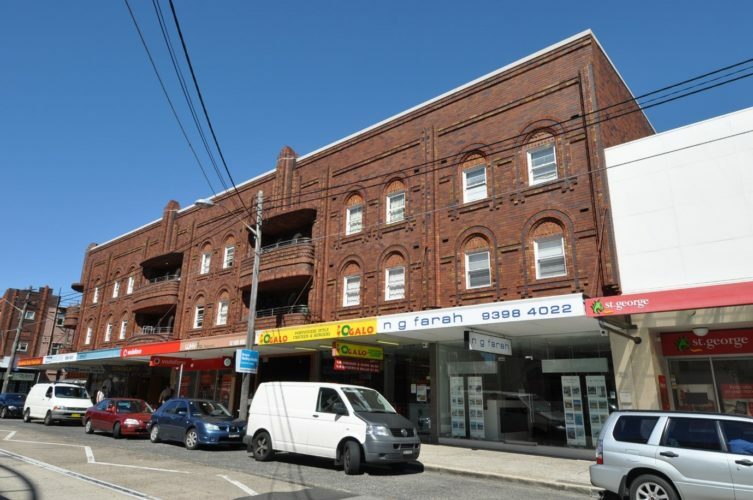 5 – Another Federation period building built in 1914 in Mascot (NSW) Australia showing typical detailing of rough-cast render and Flemish-bond brickwork. Terracotta roof tiles were also used extensively during this period. Fig. 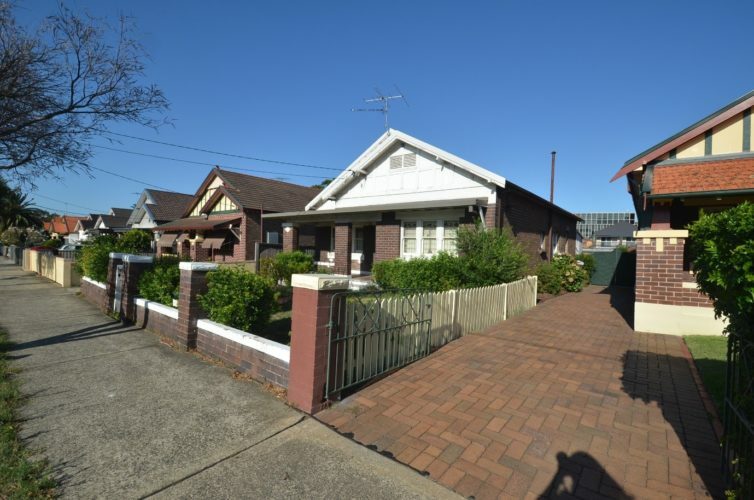 6 – California Bungalow houses in Randwick (NSW) Australia showing the typical split roof gables so prominent of the style. Also, generous enclosed or semi-enclosed verandas (called sleep-outs) facing the street are prevalent with the use of exposed brickwork, timber-framed windows and low fences presenting to the street. Fig. 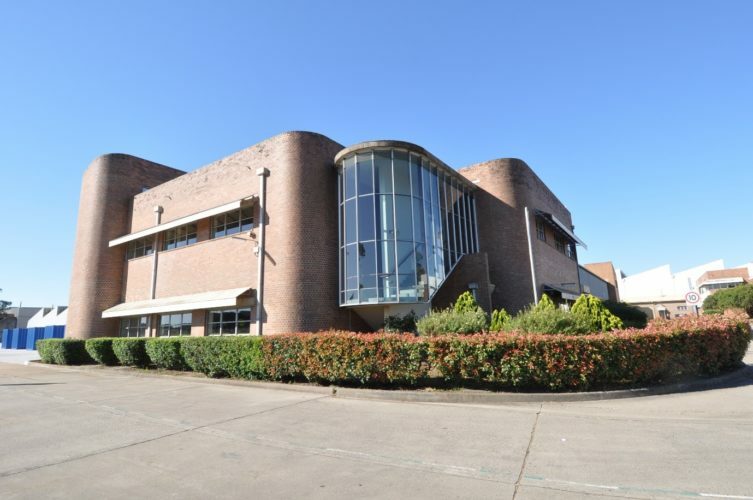 7 – Inter-war brick building in Randwick showing the beginnings of a Modernist aesthetic – note the elliptical shaped curved balconies – otherwise the rest of the building is classical in appearance but very much an extraordinary use of brickwork detailing typical of the period. Fig. 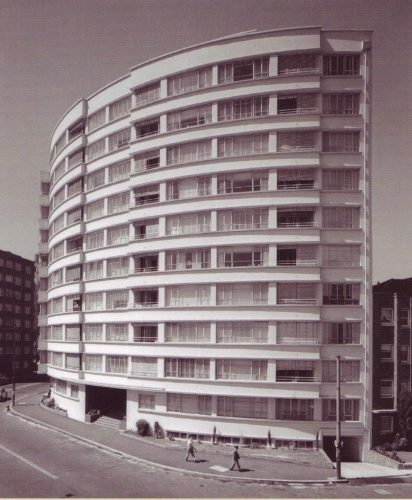 8 – Modern Movement architecture – 17 Wylde Street in Potts Point, which was completed in 1951 by the émigré architect Aaron Bolot. The building was registered in 1997 on the Register of the National Estate as historically significant for several points, including architectural, as an outstanding example of an International style post war residential building. It holds an important place in the development of a high- rise aesthetic in Australia and is valued by the architectural and broader community. Fig. 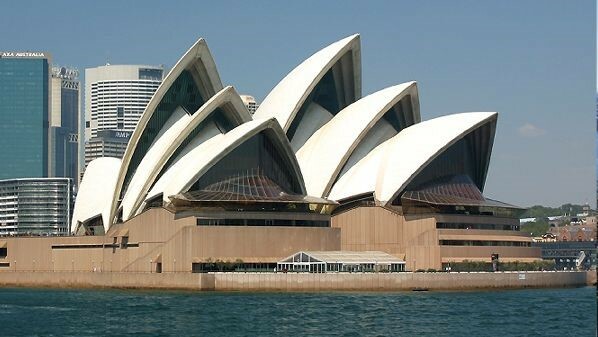 9 Sydney Opera House in Sydney (NSW) Australia is a multi-venue performing arts centre . It is one of the 20th century's most famous and distinctive buildings. Designed by Danish architect Jørn Utzon, the building was formally opened on 20 October 1973 after a gestation beginning with Utzon's 1957 selection as winner of an international design competition. The Government of New South Wales, led by the premier, Joseph Cahill, authorised work to begin in 1958 with Utzon directing construction. The government's decision to build Utzon's design is often overshadowed by circumstances that followed, including cost and scheduling overruns as well as the architect's ultimate resignation. Fig. 10 - Brutalist building at Bankstown (NSW) Australia airport. The term Brutalism has its origin in the French béton brut, meaning roughcast concrete. Post-war governments under pressure to replace infrastructure and build housing for booming populations turned to pre-fabricated concrete because it was inexpensive to produce and easy to erect. Worldwide, the material was used in the construction of public housing, town halls, schools, universities, community centres and other civic buildings. Brutalism is a truly global architectural style and there are examples of it in cities on every continent. In the popular imagination, Brutalism is defined by the blunt, brute force of its unadorned and uncompromising forms. It is often associated with Soviet Bloc-style housing or the towers of British council estates. Kristen Seale is a postdoctoral fellow at UNSW Art & Design and is the author of Markets, Places, Cities (Routledge, 2016). The above material is intended to indicate the nine key styles of architecture in NSW dating back to the 1840s. Obviously before that, there were Indigenous housing forms of a less formal variety. Additionally, within each style, there are subtle variations and particular variants, but the generality of the nine styles above attempts merely to paint the picture in concise terms of how the architecture of the NSW colony has developed and evolved.